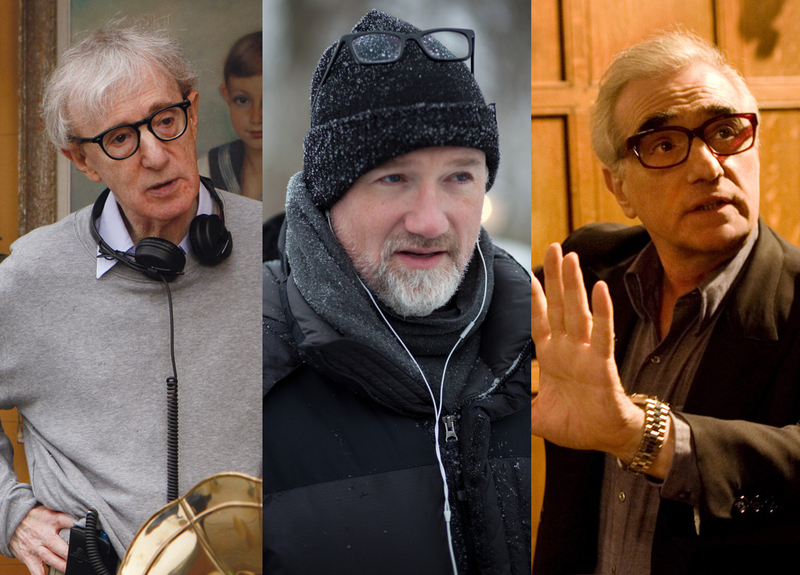 LOS ANGELES - Woody Allen, David Fincher and Martin Scorsese are among this year's nominees for Best Director as chosen by the Directors Guild of America. The nominations for this year's DGA Awards for motion pictures were announced Monday. Chosen were Allen, nominated for his wistful romantic comedy "Midnight in Paris"; David Fincher for his adaptation of the thriller "The Girl With the Dragon Tattoo": Michel Hanavicius for the ode to silent cinema, "The Artist"; Alexander Payne for the dramatic comedy "The Descendants"; and Scorsese for the 3-D children's fantasy "Hugo." "The directors nominated this year for the Outstanding Directorial Achievement in Feature Film Award have each demonstrated an inspired command of the medium. The fact that their prodigious talents have been recognized by their peers is the highest honor a director can achieve," said Hackford. Scorsese won the DGA Award for "The Departed," and was previously nominated for "Taxi Driver," "Raging Bull," "Goodfellas," The Age of Innocence," "Gangs of New York" and "The Aviator." Last year Scorsese won the DGA's Dramatic Television award for "Boardwalk Empire." Allen won the DGA Award for "Annie Hall," and was nominated three other times, for "Manhattan," "Hannah and Her Sisters," "Crimes and Misdemeanors." Fincher has been nominated twice before, for "The Social Network" and "The Curious Case of Benjamin Button." Payne was previously nominated for "Sideways." This is Hanavicius' first nomination. Among those directors who failed to make the cut this year are Terrence Malick for "The Tree of Life"; Steven Spielberg (who directed two films, "The Adventures of Tintin" and "War Horse"), and Clint Eastwood ("J. Edgar"). The DGA rarely nominates foreign directors, so it is less surprising that Nicolas Winding Refn ("Drive"), Lars von Trier ("Melancholia"), and Tomas Alfredson ("Tinker, Tailor, Soldier, Spy") were not among the final five. Nominations in television and documentary categories will be announced on Tuesday, January 10. The winners will be named at the 64th Annual DGA Awards Dinner on Saturday, January 28, 2012, at the Grand Ballroom of Hollywood and Highland.